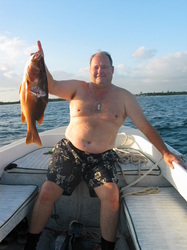 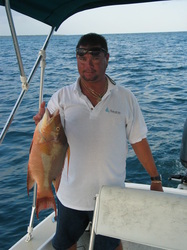 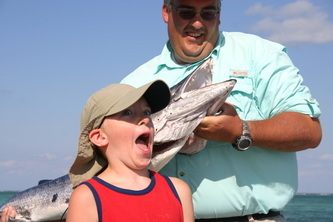 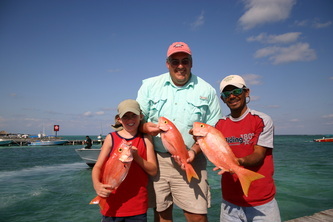 Belize Fishing Adventures "Our Belize Vacation" - "Our Belize Vacation"
There's One in Every Family - You Know Who You Are! 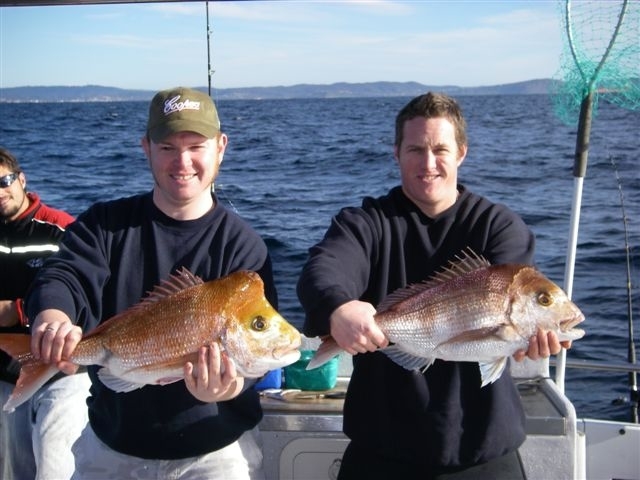 7 Days/6 Nights - OUR TOP SELLING TOUR! 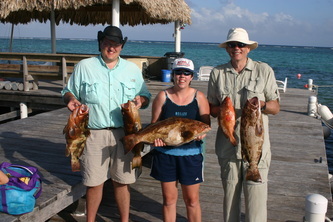 BRIEF DESCRIPTION: Enjoy a full week (6 nights) on the beautiful island of Ambergris Caye. To include round trip island air transfers from the Belize mainland to the island, round trip taxi from the San Pedro airstrip to your resort. 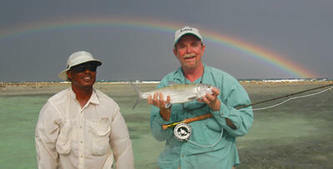 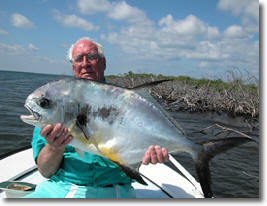 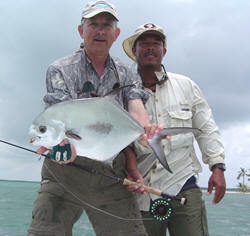 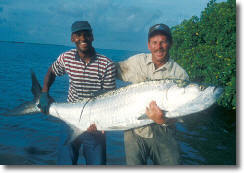 Enjoy three full days of game fishing at various sites along the Belize Barrier Reef, to include all government sales tax. 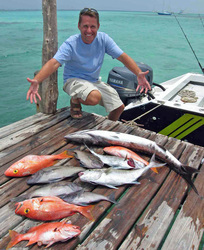 BRIEF DESCRIPTION: Enjoy a full week (6 nights) on the beautiful island of Ambergris Caye. To include round trip island air transfers from the Belize mainland to the island, round trip taxi from the San Pedro airstrip to your resort. 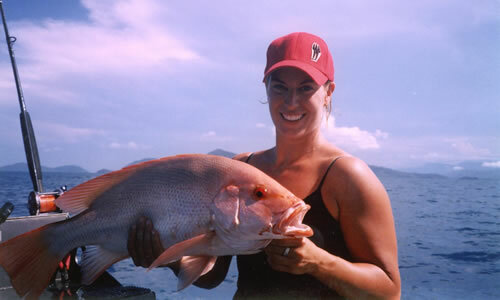 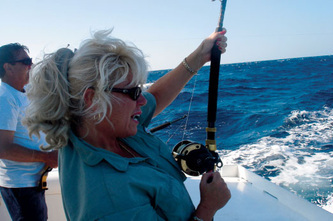 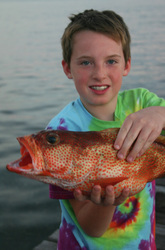 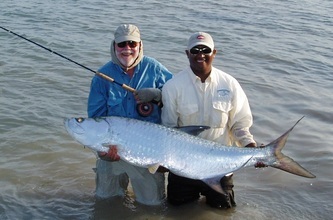 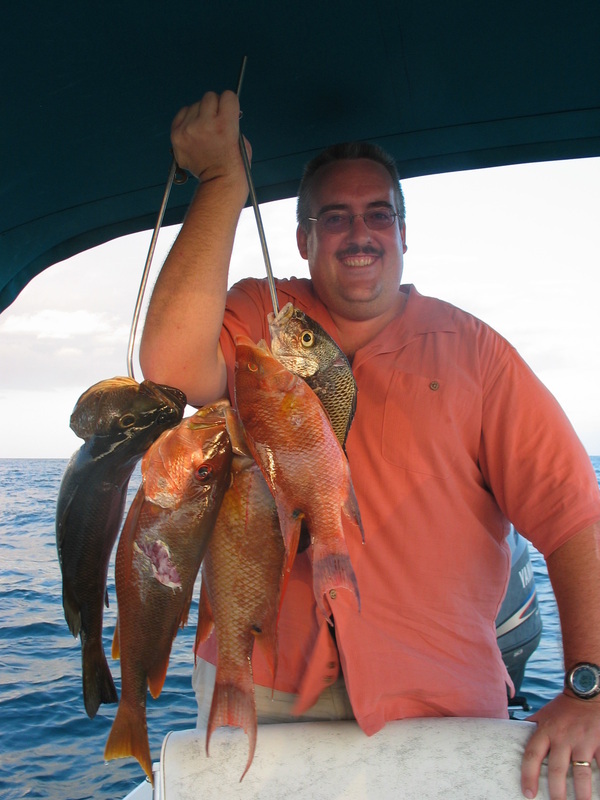 Enjoy two full days of game fishing at various sites along the Belize Barrier Reef, followed by a half day of game fishing, to include all government sales tax. BRIEF DESCRIPTION: Enjoy a full week (6 nights) on the beautiful island of Ambergris Caye. 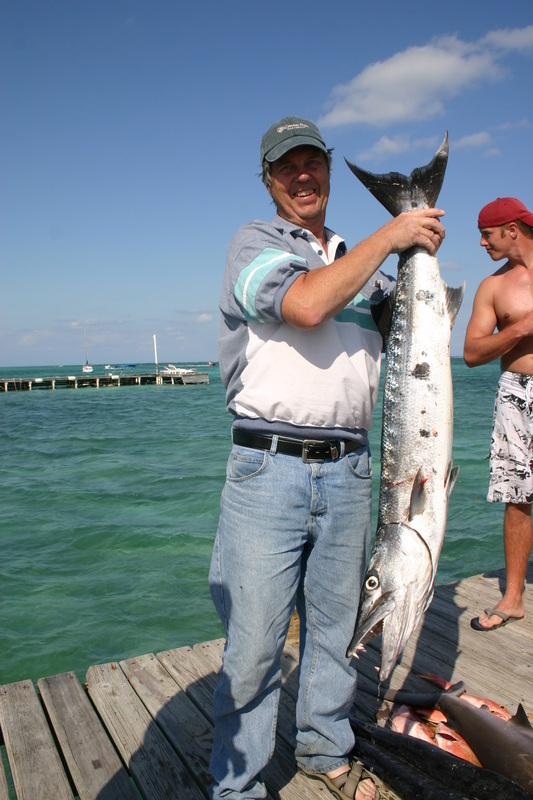 To include round trip island air transfers from the Belize mainland to the island, round trip taxi from the San Pedro airstrip to your resort. 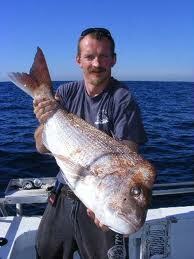 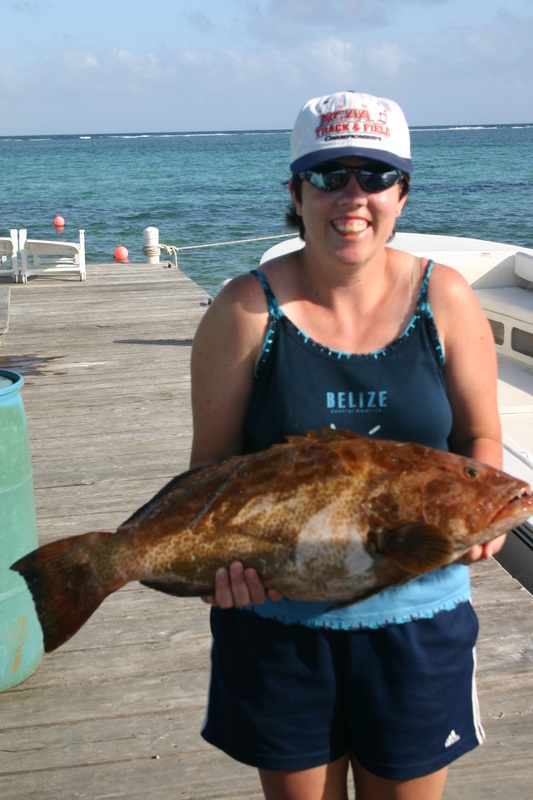 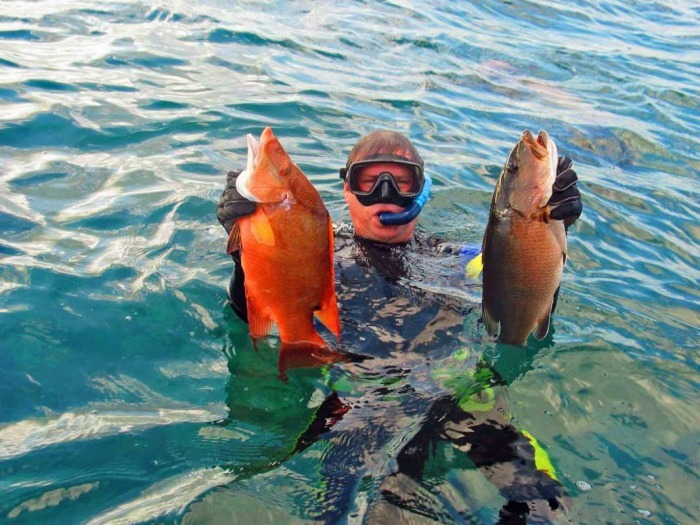 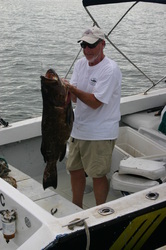 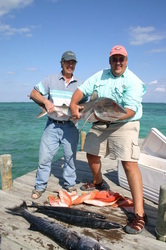 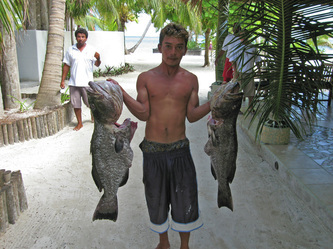 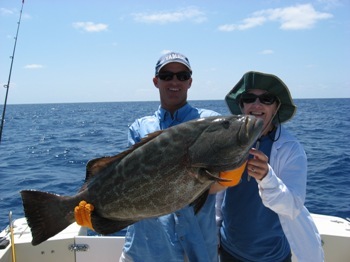 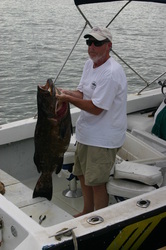 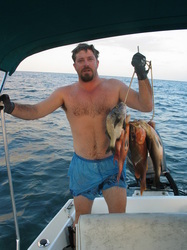 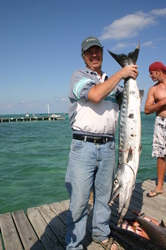 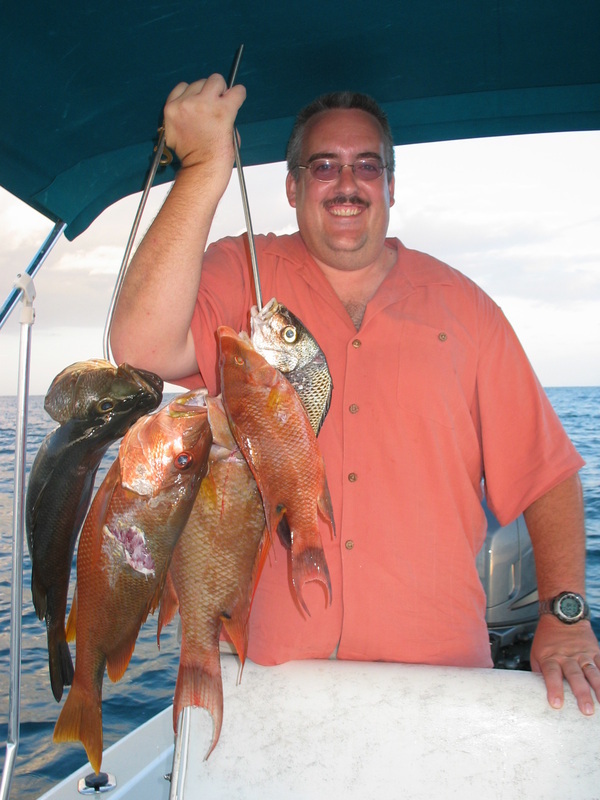 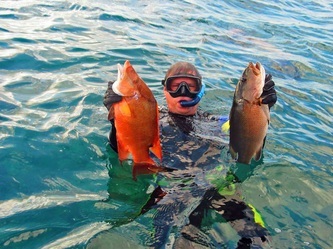 Enjoy two full days of game fishing, followed by two half days of diving (2 tanks each) to varioua sites along the Belize Barrier Reef, to include all government sales tax. 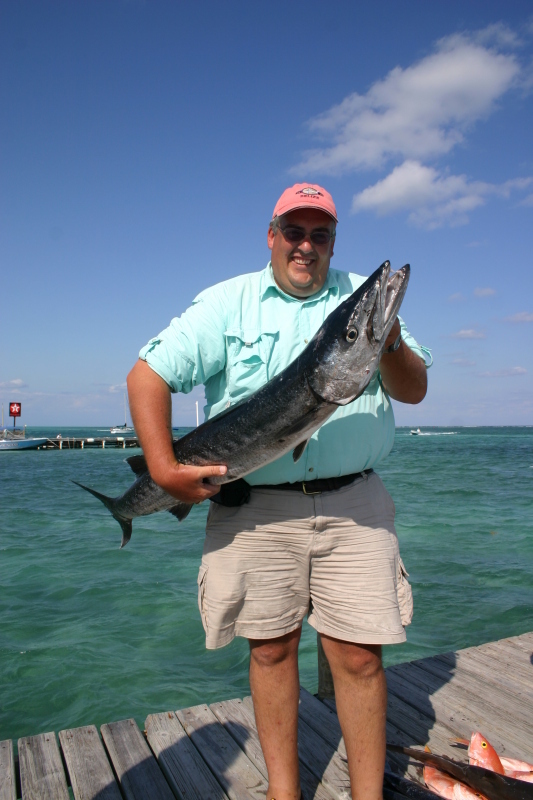 BRIEF DESCRIPTION: Enjoy a full week (6 nights) on the beautiful island of Ambergris Caye. 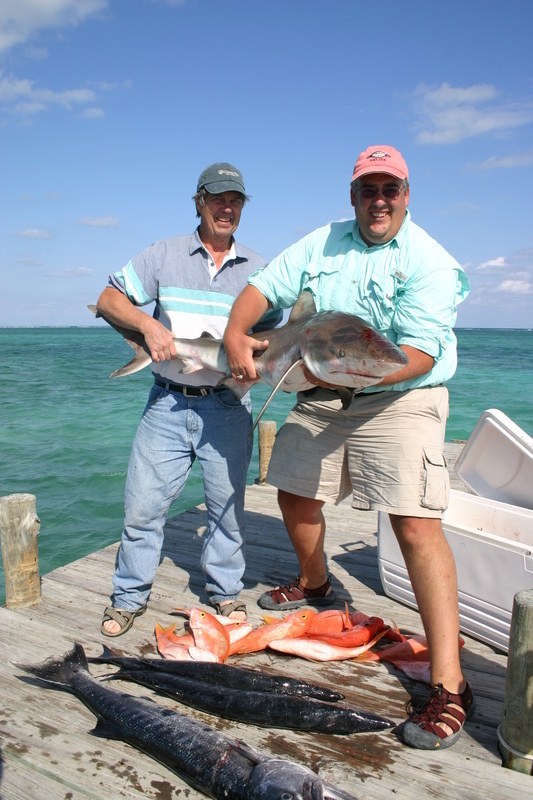 To include round trip island air transfers from the Belize mainland to the island, round trip taxi from the San Pedro airstrip to your resort. 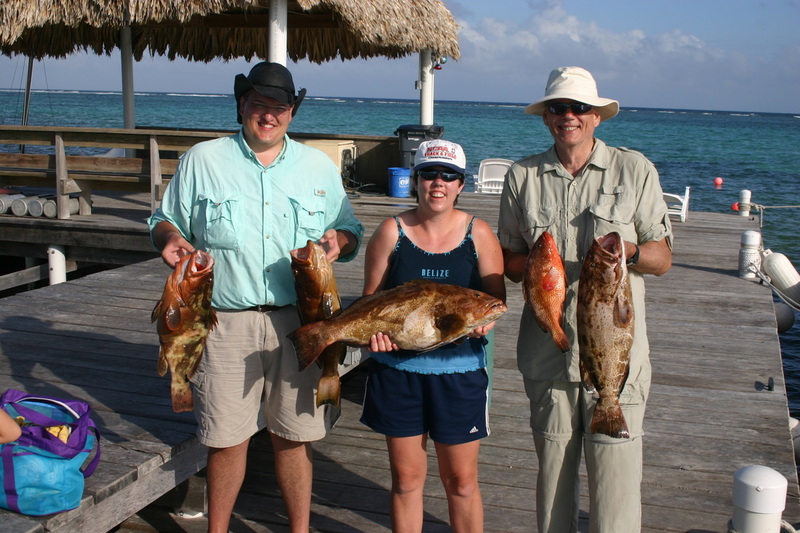 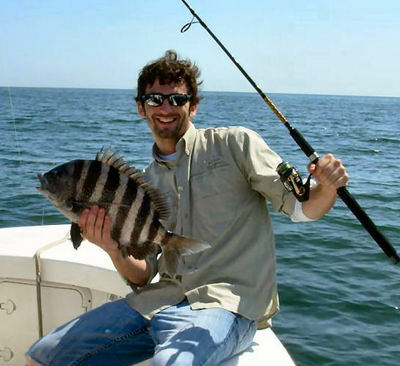 Enjoy two full days of game fishing, followed by a full day of snorkeling at the famous Blue Hole, to include all government sales tax. 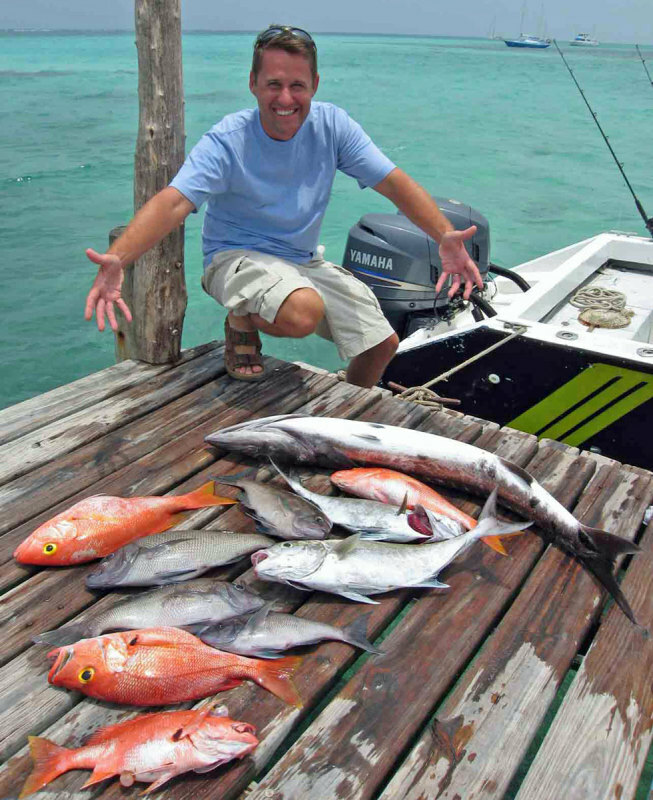 BRIEF DESCRIPTION: Enjoy a full week (6 nights) on the beautiful island of Ambergris Caye. 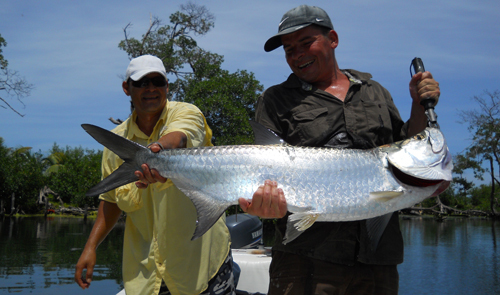 To include round trip island air transfers from the Belize mainland to the island, round trip taxi from the San Pedro airstrip to your resort. 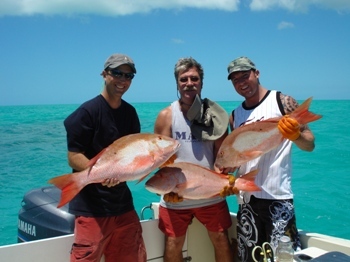 Enjoy two full days of game fishing, followed by a half day of snorkeling at the Hol Chan Marine Park and Shark Ray Alley, to include all government sales tax. 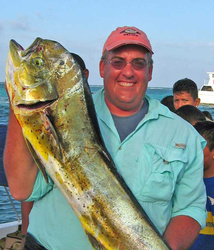 BRIEF DESCRIPTION: Enjoy a full week (6 nights) on the beautiful island of Ambergris Caye. 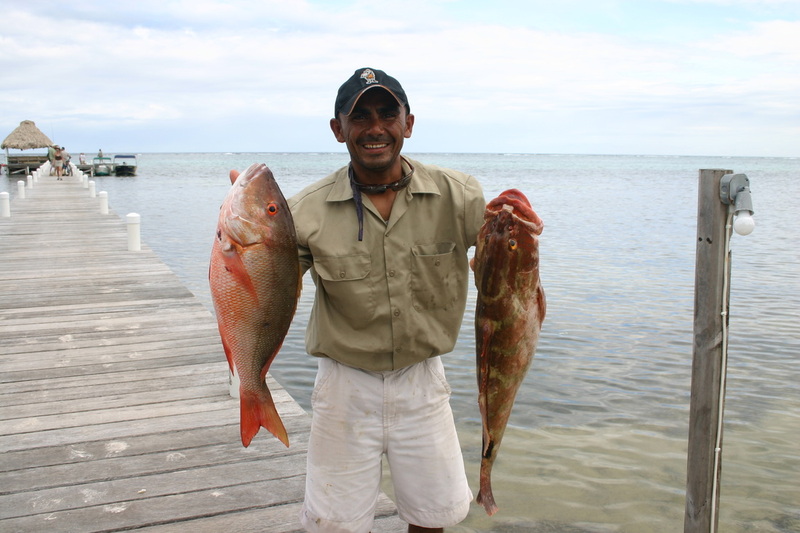 To include round trip island air transfers from the Belize mainland to the island, round trip taxi from the San Pedro airstrip to your resort. 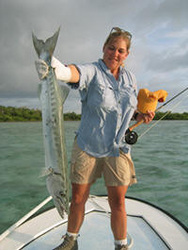 Enjoy two full days of game fishing, followed by a full day cave tubing through the ancient Mayan caves or underworld, zip linning through jungle rainforest canopy tree tops, to include all government sales tax. 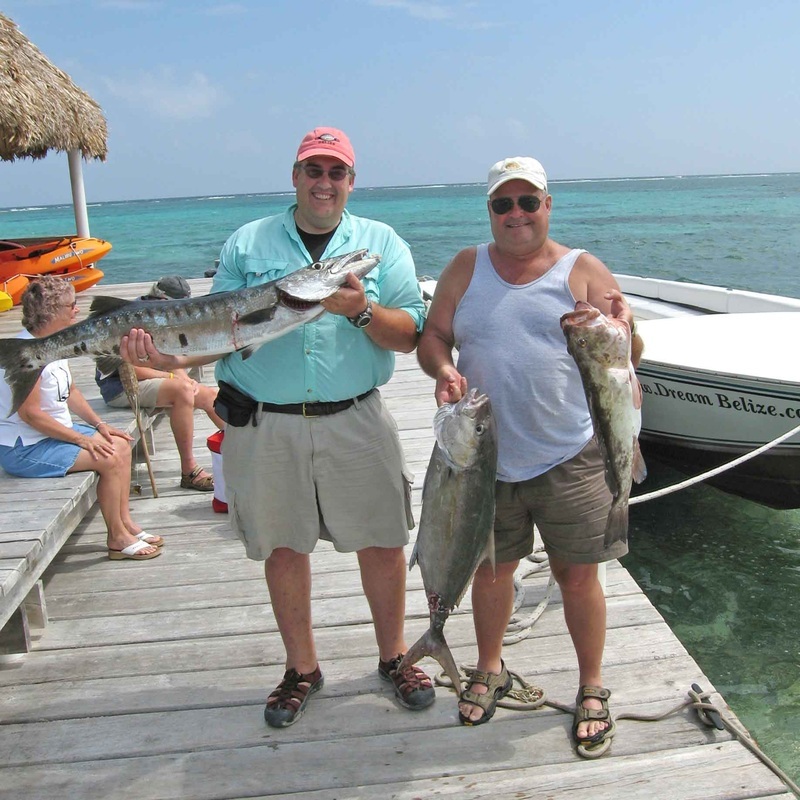 BRIEF DESCRIPTION: Enjoy a full week (6 nights) on the beautiful island of Ambergris Caye. 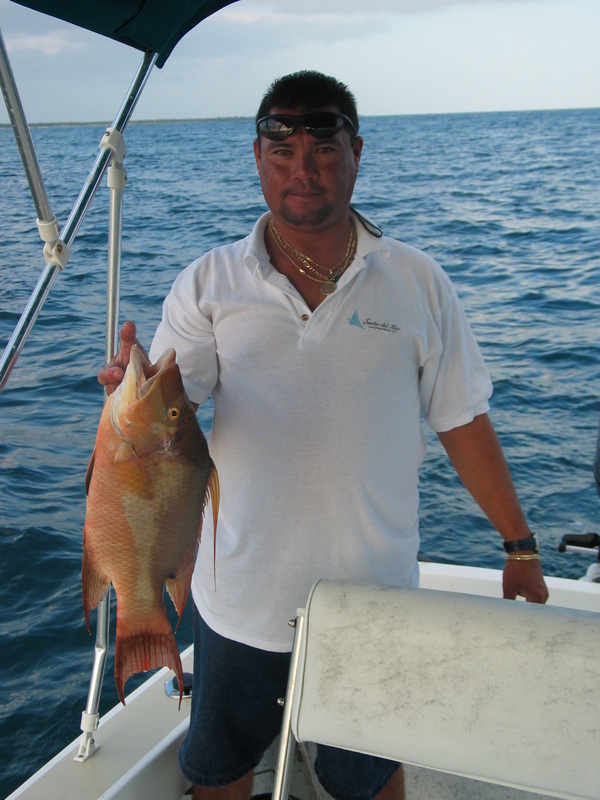 To include round trip island air transfers from the Belize mainland to the island, round trip taxi from the San Pedro airstrip to your resort. 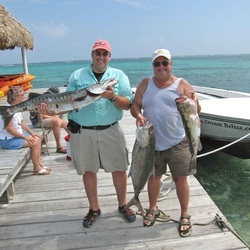 Enjoy two full days of game fishing, a full day of riding an ATV motor bike, through ungle dirt trails, followed by cave tubing through the ancient Mayan caves or underworld, to include all government sales tax. 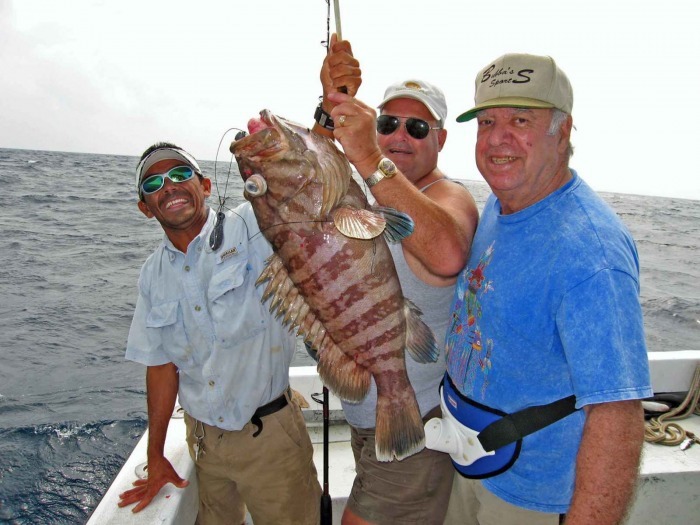 BRIEF DESCRIPTION: Enjoy a full week (6 nights) on the beautiful island of Ambergris Caye. To include round trip island air transfers from the Belize mainland to the island, round trip taxi from the San Pedro airstrip to your resort. 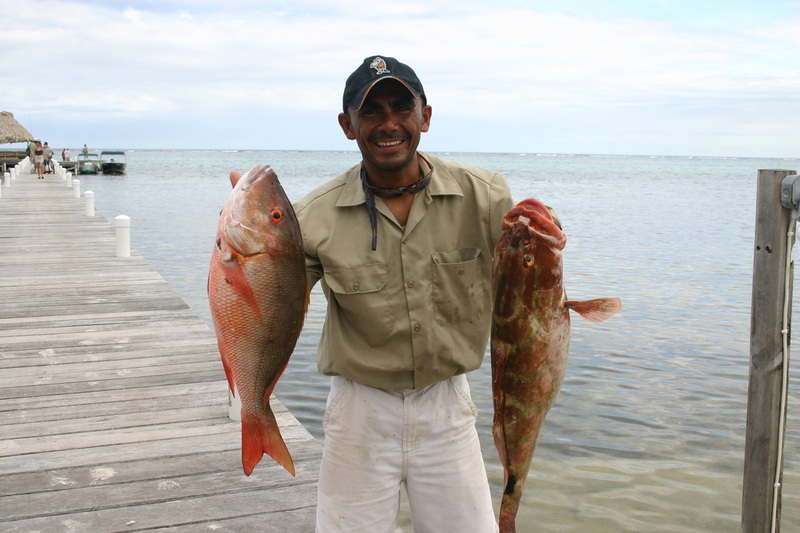 Enjoy two full days of game fishing, a full day exploring one of the best caves in all of Belize, the Actun Tunichil Muknal "ATM" cave, to include all government sales tax. 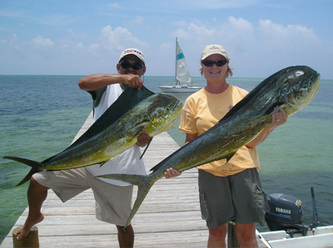 BRIEF DESCRIPTION: Enjoy a full week (6 nights) on the beautiful island of Ambergris Caye. 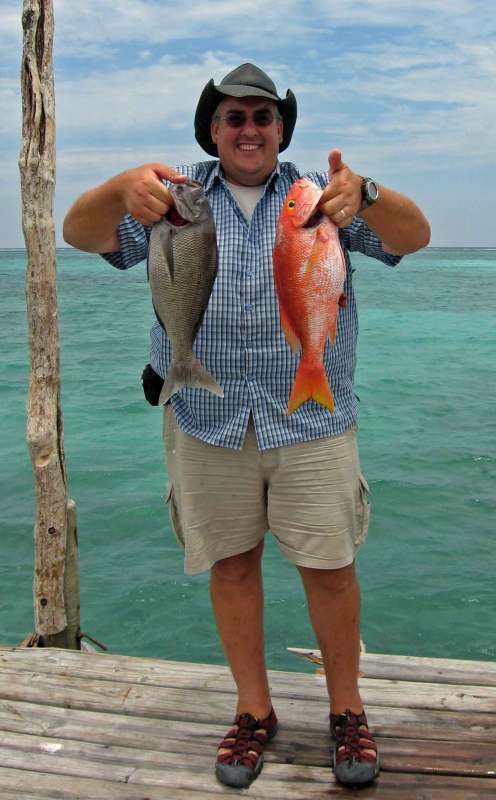 To include round trip island air transfers from the Belize mainland to the island, round trip taxi from the San Pedro airstrip to your resort. 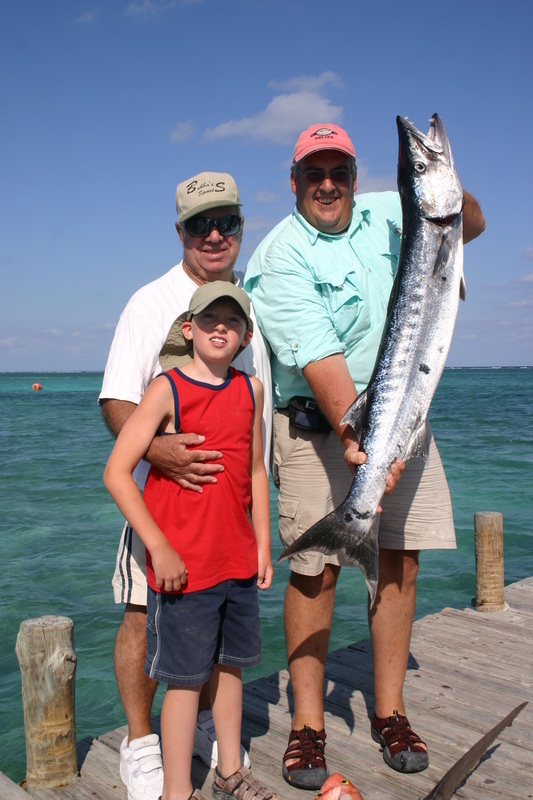 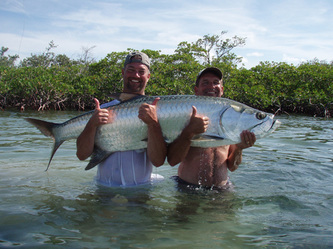 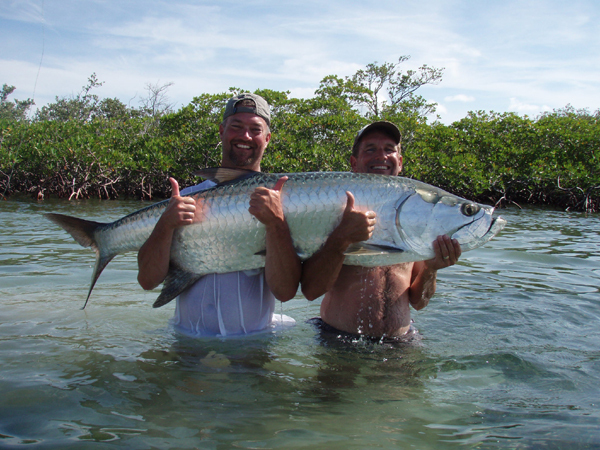 Enjoy two full days of game fishing, a full day of touring the ancient Altun Ha Mayan RUins, follwed by Cave Tubing in the Mayan Underworld, to include all government sales tax. BRIEF DESCRIPTION: Enjoy a full week (6 nights) on the beautiful island of Ambergris Caye. To include round trip island air transfers from the Belize mainland to the island, round trip taxi from the San Pedro airstrip to your resort. 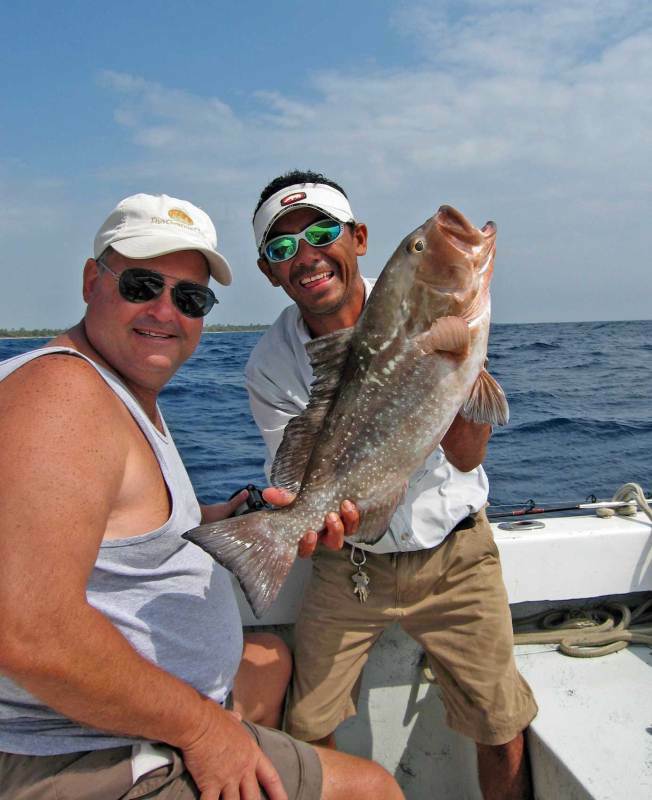 Enjoy two full days of game fishing, a full day boat ride along a jungle river, follwed by a walking tour of the ancient Lamanai Mayan Ruins, to include all government sales tax. 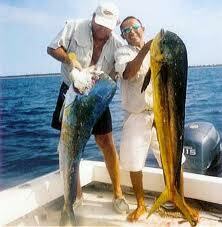 BRIEF DESCRIPTION: Enjoy a full week (6 nights) on the beautiful island of Ambergris Caye. 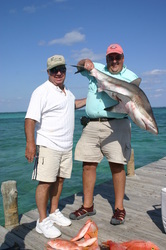 To include round trip island air transfers from the Belize mainland to the island, round trip taxi from the San Pedro airstrip to your resort. 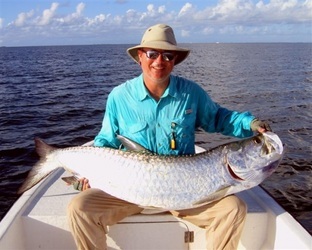 Enjoy two full days of game fishing, a full day touring the ancient Xunantunich Mayan Ruins, followed by Cave Tubing in the Mayan Underworld, to include all government sales tax. 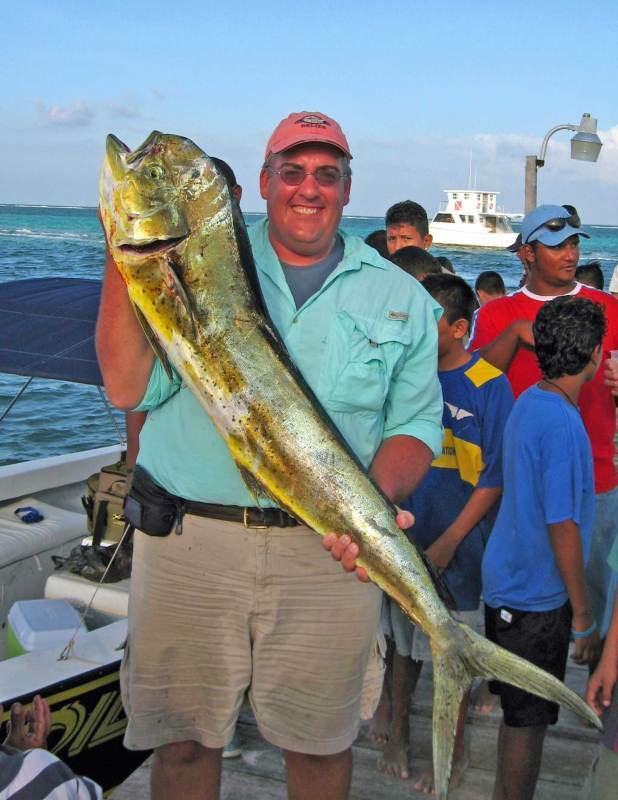 BRIEF DESCRIPTION: Enjoy a full week (6 nights) on the beautiful island of Ambergris Caye. To include round trip island air transfers from the Belize mainland to the island, round trip taxi from the San Pedro airstrip to your resort. 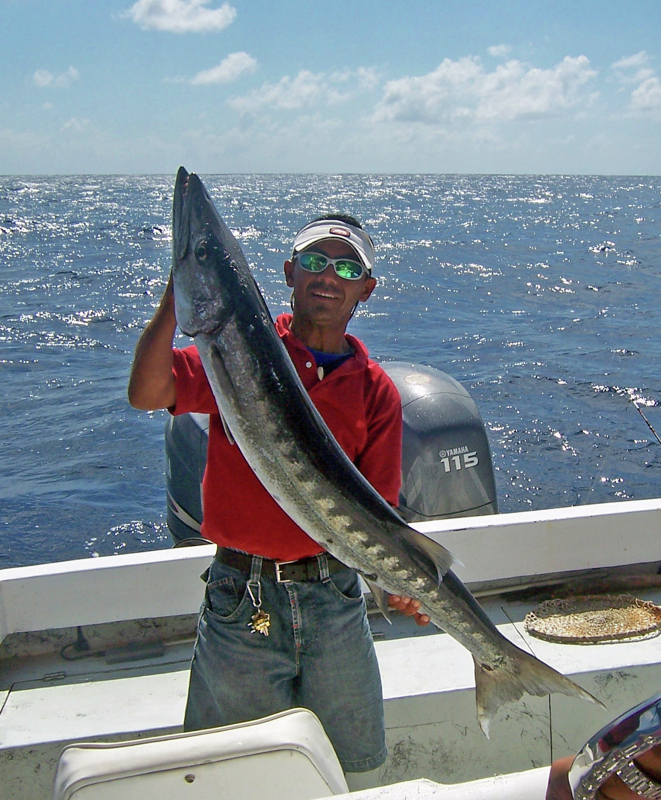 Enjoy a full day of game fishing, followed by two full days traveling through Guatemala and touring the largest Mayan ruins in all of Central America, Tikal. After touring the ruins, you will enjoy a dinner together, spending the night in Guatemala and then head back to the island the following day.